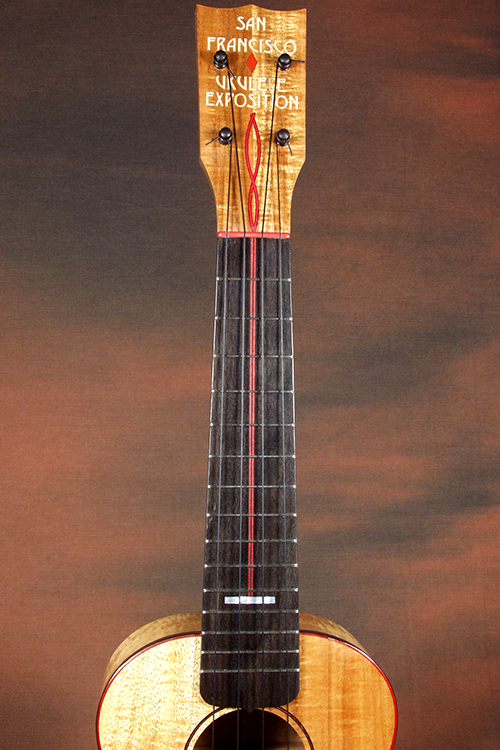 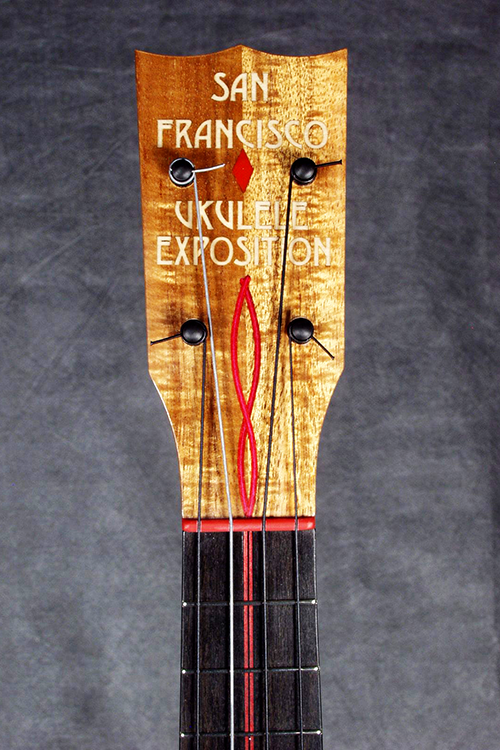 During the latter part of 2007 the San Francisco Museum of Craft & Folk Art hosted an exhibition showcasing the history, development and current fanaticism with the ukulele. 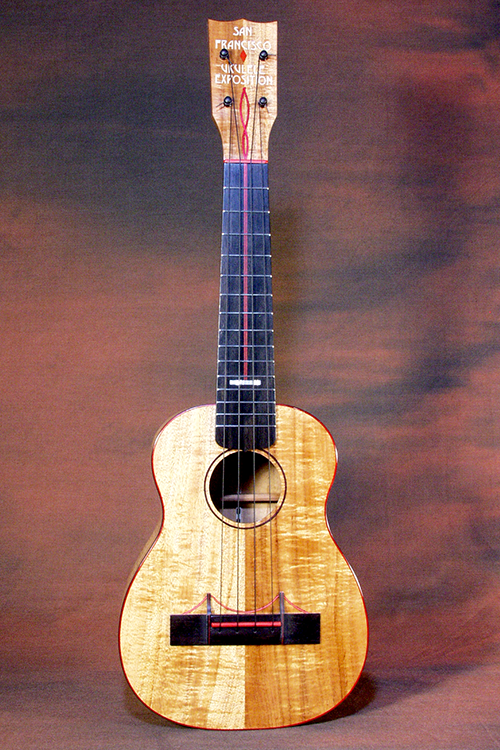 Hosted by Stephen Becker this magnificently curated show traced the ukulele from its original roots in Hawaii to modern builders such as myself. 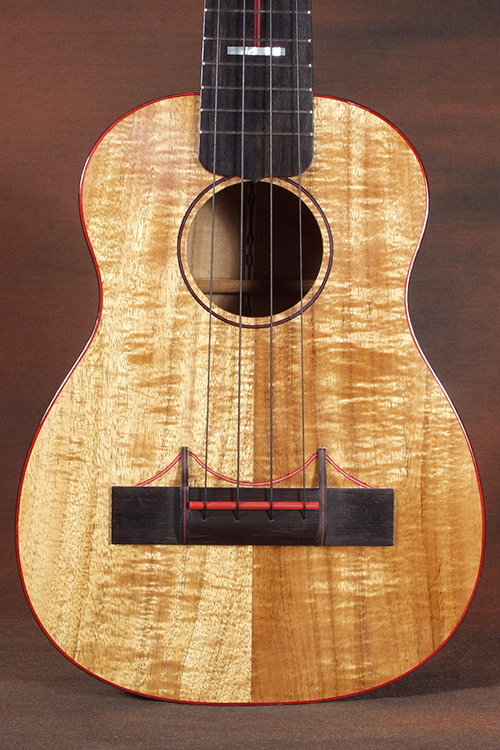 Playing off the idea of historical San Francisco exhibitions of the past I made this show themed concert size koa ukulele, named it and built it a Golden Gate Bridge – bridge.